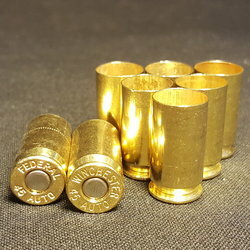 .300 WIN MAG Once Fired Brass from DKB reloading supply | 100 count. 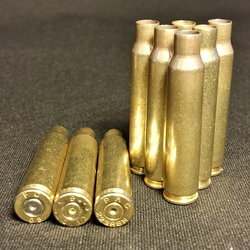 .300 WIN MAG *Polished* Range Brass - 100 count. D-Lead Abrasive Hand Soap 8 oz. 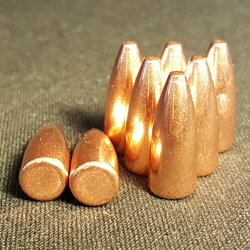 7.62x39 (.311) 123gr TMJ Spire Point 100 ct.
first time customer but not the last.great brass great price and fast shipping.can't ask for more. I've been buying my new and used brass from Diamond K for some time now.Everything from 38 spl. to 338 Lapua. The best prices I've found, and without a doubt, the very fastest shipping! Top quality once fired brass. Why go anywhere else? .223 REM Commercial Only - 1000+. 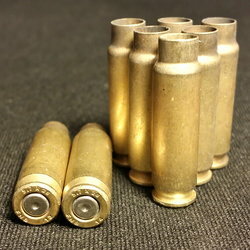 I use a Dillon XL650 for reloading 11 types of ammunition. I typically have to size and de-prime, then clean the primer pockets before I turn around and prime my old supplier's brass. I could never run my XL650 the way it was designed to run. With DK's brass, I'm back to the way the Dillon girl does it. I WILL NEVER buy from anyone else. It's fun to reload again.